Behind Nimba is probably one of the world's original artists, Ariane MacAvoy. Ariane's background and musical education goes back when Ariane was growing up in Paris. She was surrounded by the creativity of her family: her grandfather was the well-known French painter MacAvoy, her mother, an actress in France, and has appeared in both films and stage. Ariane found her true passion in West African dance and drumming. She has been playing Djembe and African instruments, and studying, as well as teaching, West African Dance since the age of 15. 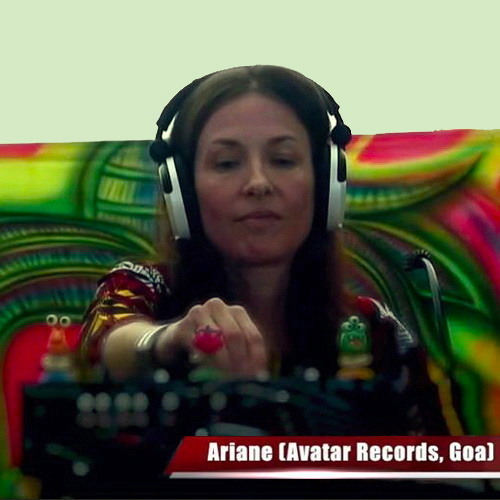 Her journey into Psychedelic electronica began in 1985 in Goa, where she met Goa Gil. Together they started The Nommos project, and continue to work on their mutual concept of 'redefining the ancient tribal ritual for the 21st century'. Ariane's love and interest for West African dance and drumming already had mature roots, and this is how Nimba materialized. Under her Nimba project are 2 brilliant albums, and her music appears on various releases, as well as tracks on Avatar's Riddle trilogy. 2005 saw her debut album Elements. A multidimensional masterpiece embedded with organic nature sounds, rich in percussion and 3D African ambience. It is amazing how you can hear, and almost "see" the fire on Feed The Fire - one of the climaxes of the album. Motherland, her 2nd album, is by all means a timeless creation, an exciting virtual journey to the heart of Africa. The album includes live authentic recordings and live tribal instruments, with electronic sounds and sonic manipulations. It is the fruitful result of her visit to West Africa and the hill tribes of Mali, where she was respectfully accepted, and had spent time close to the local people and participated in ancient tribal dance and rituals. These important albums are considered an asset in the genre of Afro-world beat. Both were licensed by EMI Music, and grabbed attention also in countries like India, where Ariane has spent some years. Nimba does not perform often, and when she does, it is an opportunity not to be missed! ..Imagine lost tribes in the depth of the jungle... hidden secrets of ancient civilizations... Imagine a pagan ritual in the mist of the night... Imagine natives dancing in trance with masks around holy fire... Imagine blood sacrifice... Imagine Nimba!